FCC: We demand an open internet! Right now, the Federal Communications Commission (FCC) is on the verge of deciding whether or not to protect an open and free internet -- and time is running out to let the federal agency know what we think about their impending decision. 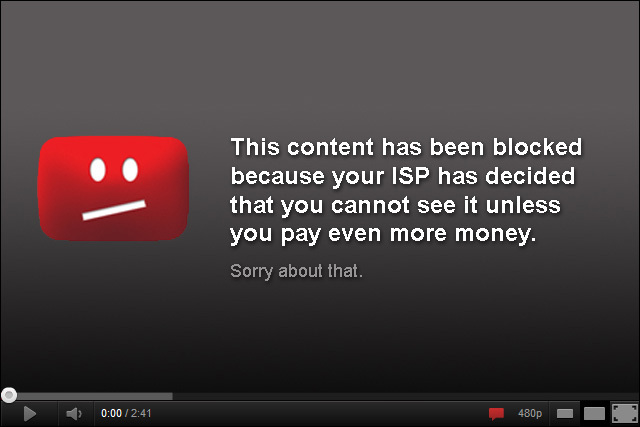 At its core, having an open internet (often referred to as Net Neutrality) means that no information on the internet is privileged over other information, which means that a homemade video made by a teen speaking out about bullying streams just as fast as a summer blockbuster on Netflix, or that conversations criticizing powerful public figures aren’t subject to interference. Ending Net Neutrality safeguards means internet service providers would have the power to censor what we view, post, and share on the internet. Why should AAPIs care about this? Because Net Neutrality, access to digital literacy, and broadband are about civil rights. Hand over fist, data shows that while internet use is high among some communities of color, poor areas – many populated by people of color – continue to be under-served. Arguing against Net Neutrality means favoring a system that permits and encourages discriminatory internet access that puts users at the whims of big corporations. Just like your phone company can’t block certain calls based on who’s making them or what they’re about, internet service providers shouldn’t be allowed to decide what content you can access. Destroying Net Neutrality could also mean internet service providers (ISPs) only provide the best and fastest service to people with the deepest pockets and the most corporate or political influence. FCC Chairman Tom Wheeler has the authority to push the FCC to reclassify the Internet as a telecommunications service. This would allow the federal agency to require that all data on the Internet be carried at the same price without discrimination. Reclassification requires no action from Congress -- all it requires is that the FCC do the right thing. Now's your chance to tell the FCC what you think about Net Neutrality. The FCC is hosting a public commenting period which concludes on September 10, 2014. Already, the federal agency has received more than 1.1 million comments about Net Neutrality -- the second largest public response in its history. If you believe that the FCC should protect our civil rights in an increasingly digital world, please take a moment to sign your name and leave a comment. Our loud, collective calls for internet protections cannot be ignored. Join us today. If you want to learn more about Net Neutrality and why it’s a civil rights issue, you can go here. "Access to an open internet is a civil right. FCC, protect our rights!" Sign 18 Million Rising's petition to the Federal Communications Commission here.